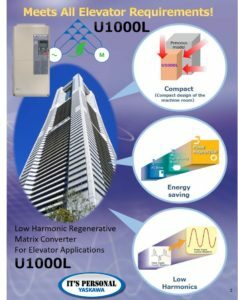 Yaskawa Elevator and Lift dedicated drives are suitable for both modernization projects and new installations. User friendliness is the emphasis of our drives. The keypad interface and programming are dedicated to elevator and escalator applications. 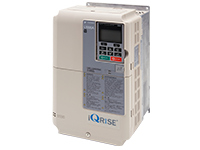 The performance features are well-suited for both Induction and Permanent Magnet motors with the latest control functions. 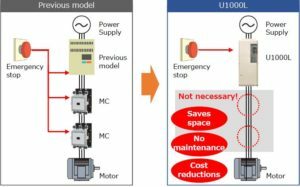 U1000L has Smooth Operation with ½ the torque ripple compared to our drives.